Mode 360 Photo Composer MODE360° Photo Composer is a automatic lightbox for taking professional pictures called packshots with maximum product size 15x15x15 cm. 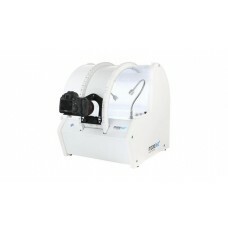 It is equipped with a built-in shadowless turntable necessary to compose 360 degree animations. Lighting is provided by a high qua..
Mode 360 Photography Studio jumbo Mode360° Jumbo is a compact studio created to photograph products (packshots) and 360° animations.The device also has an arched arm for 3D images complete with a camera grip. The platform with a 90 cm diameter allows the creation of animations of vari..